Bohemian Rhapsody is finally going to be released in China, but it's going to be heavily censored. The Queen biopic has been an absolute smash at the box office and went on to win four Oscars over the weekend, more than any other movie nominated this year. The biopic chronicles the life of the late Freddie Mercury who was a gay man. That element of his life is depicted in the movie. However, China is going to mostly remove those elements from the release. According to a new report, the notoriously strict Chinese censors have granted a limited release for Bohemian Rhapsody, which will kick off in March. The agreement comes with stipulations though. For one, any drug use depicted will be removed. More importantly, as it pertains to the story and life of Freddie Mercury, any gay content, such as "intimate kisses" that he shares with other men on screen, will be cut out. That means a biopic that has already been accused of being sanitized will be even more so, and therefore further from the truth, when Chinese audiences see it. 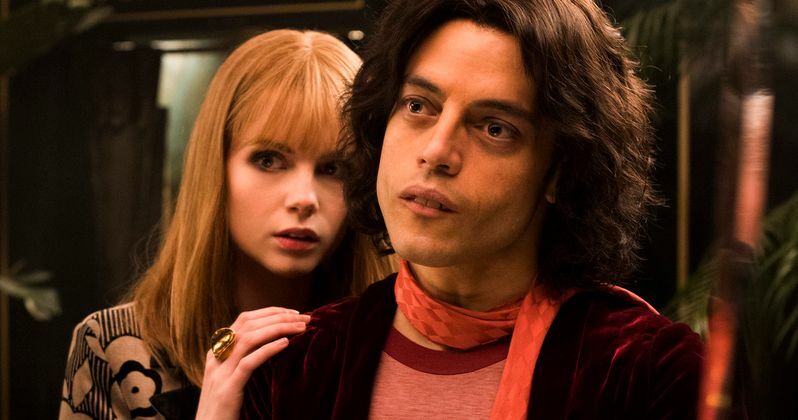 While Bohemian Rhapsody did go on to earn a Best Picture nomination, ultimately losing out to the controversial Green Book, the movie has plenty of detractors. It's been criticized for not diving deep enough into Freddie Mercury's life as a gay man in the first place. Not only that, but there are quite a few factual inaccuracies, such as Mercury being turned into a villain for wanting to make a solo album, when other members of Queen made solo albums before he even wanted to. The movie has also faced criticism for the way in which it handled the late musicians HIV diagnosis, which was used to help reunite the band before their iconic Live Aid performance. In reality, Mercury wasn't even diagnosed until roughly two years later in 1987. To say the least, and without even diving into the drama that has swirled in regards to director Bryan Singer, who remains credited but was actually fired from the movie before it even finished filming, it's a problematic movie. Unfortunately, it's going to be even less hard-hitting in China, but censors in the country are very strict and Bohemian Rhapsody, even in its sanitized form, won't even be getting a wide release. A limited release was negotiated as a compromise of sorts. Though, if it performs well, it may be expanded. Bohemian Rhapsody has grossed $861 million worldwide, making it far and away the highest-grossing biopic ever made. Rami Malek also walked away with a Best Actor Academy Award for his portrayal of Freddie Mercury in the movie. Problematic as it may be, this has proved to be a huge hit for Fox and, given that China is one of the biggest box office markets in the world, they're going to do what needs to be done in order to see the movie released there. This news was previously reported by The Hollywood Reporter.